When future history is written, either on the scraps of a dead civilization or the new frontiers of a restored one, it may include a mention of Generation X as a precipice between old and new. In 1989, waves of thought were already concentrating on the idea Francis Fukuyama would express a few years later, which was that history was pretty much over and a final human form had been found. Now, the thought ran, we only had to figure out the parts of life that were not government or economics. Bill and Ted’s Excellent Adventure dropped into this fertile climate like a bomb of pleasant discomfiture. Its ostensibly pleasant message resonated with a nation caught in indecision. The 1960s had legitimized every behavior, but lacking the comforting direction of the 1940s, it felt adrift. It was somewhat clear the Cold War was winding down and change would happen soon. It would arrive in a void of purpose that unsettled Americans. We had prosperity, relative peace and working social institutions, but life still echoed with a basic emptiness. The plot involves two Southern California kids who, coming from unstable families, have decided to chuck everything and be in a hard rock band. Their challenge awaiting them is that, being disengaged from public reality entirely, they are about to fail history and with it, a year of high school, which will lead to their separation and the death of the band. With the help of a visitor from the future (George Carlin) the two set off to explore history in order to learn what school could not teach them. Science-fiction nerds will note rather cruelly that this movie may have borrowed its basic plot device from a British series of the 1960s, Dr. Who. Where the Doctor ventured in a call box, American time travelers got a phone booth. Otherwise, the devices resemble each other to a great degree. The plot follows a simple course of introducing the dilemma, then a series of essentially short skits involving a mockery of different historical periods, followed by a somewhat complex confrontation between historical characters and the 1989 world and then a pleasant and satisfying conclusion. It would be a mistake to write this movie off as shallow, however. Bill and Ted are two of the most wounded characters to occupy the screen during the 1980s. Both have shattered family origins, low self-esteem, and are perplexed by a world that seems like commercials projected onto screens behind which people wallow in insecurity, doubt and meaninglessness. As many did during the 1980s, they hide behind idiocy as a way of shielding themselves from expectations. They find adults hard to take seriously because adults are focused on methods and results, but not quality of experience. Bill and Ted delineate themselves as characters by their pursuit of something above what they know as life, starting with actually having purpose, even if they have no idea how to go about it. They launch into their adventure with a jovial carefree attitude that dramatically contrasts the adults of the day. Where 1980s authority figures are rigid and demanding, Bill and Ted look to the value of a given experience in itself. As they go through history, this makes them able to adapt to many different circumstances from which they borrow historical personages. On being brought to the setting of the movie in San Dimas, CA, these figures interact with modern locals and quickly show themselves to be far more competent than your average citizen of the modern era. 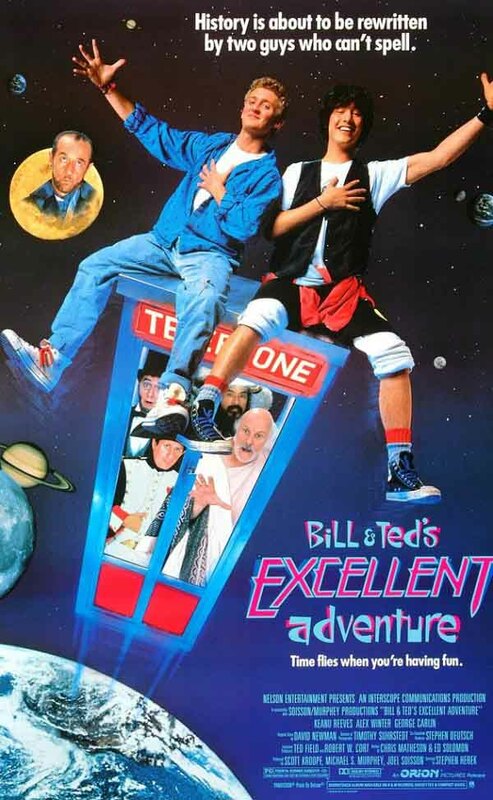 This movie makes contemporary people look like blockheads who depend on rules and rigid social order to keep themselves from drifting into oblivion, and quickly show a kinship between Bill, Ted and their historical counterparts: all of them dream not only bigger, but of something better, even when simply pursuing their own pleasures. In contrast to the spraypaint color and fake tans of Southern California, the historical humans are a flash of brightness like lightning. Most of us will find the ending to this film somewhat cheesy, but there is no way to avoid it with a plot that completes itself with a finite achievement; emotional closure does not occur, so the filmmakers allow us a few moments of comedic absurdity with one exception. Look for psychoanalysis to make an appearance and underline a vital plot point in the final few minutes of the film. As always, this movie shows a clash between Baby Boomers, who grew up in a world with order and assume it still exists, and Bill and Ted — symbols for Generation X — who awoke in a world that made no sense, was vapid and had no sense of its own history. In undertaking their journey through greatness of the past, Bill and Ted in many ways summarize their own time. 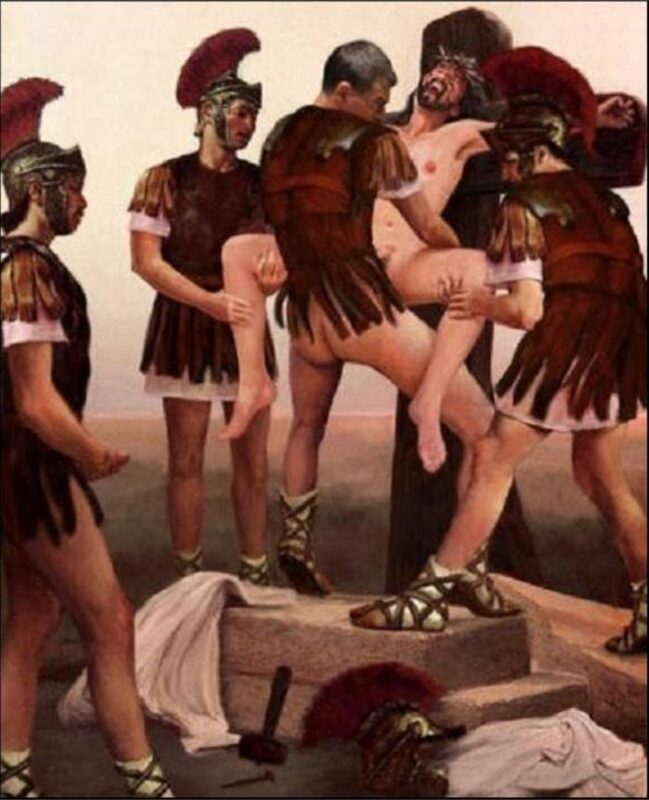 It struggled with literal threats like the Wild West, political instability, invasions, religious wars and neurosis, but now returns back to its roots in the Socratic questions about the value in life itself. This alludes to what Fukuyama wrote about, which is the question before humanity: become mere materialists, or rise above? Bill and Ted answer with a resounding Be excellent to each other, a message that resonated with many back at the end of the Cold War in its transformative formula for a quantitative world to improve itself instead of stagnating.